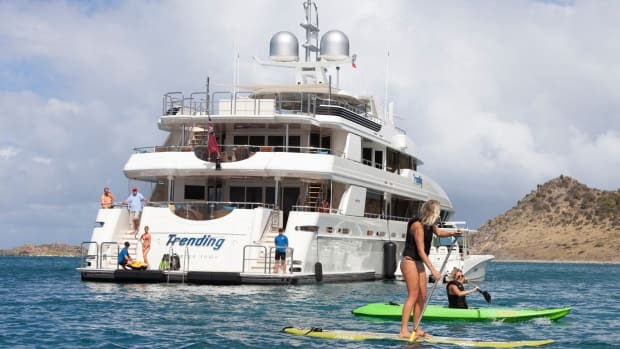 Nobody likes to leave home without their favorite toys—submarines, helicopters, shark cages, big tenders and the like—but trying to jam them all aboard a yacht with cranes big enough to launch them and enough staff to service them has left even the most deep-pocketed owners reaching the tipping point of the cost-benefit ratio. 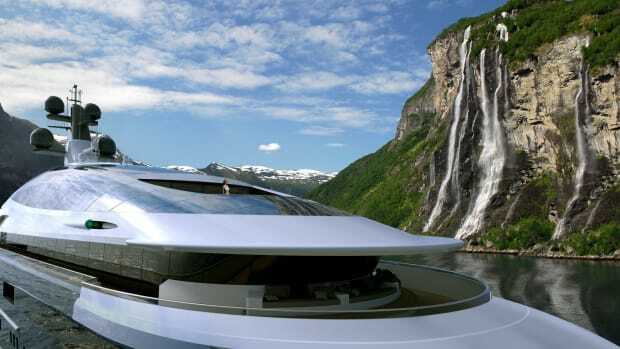 The new idea is instead buying a yacht-grade support vessel, one that can be built at a length of 164 feet (50 meters) for about $14 million, a fraction of the cost of upscaling to a 250-foot (76.2-meter) superyacht that still might not get it all done. 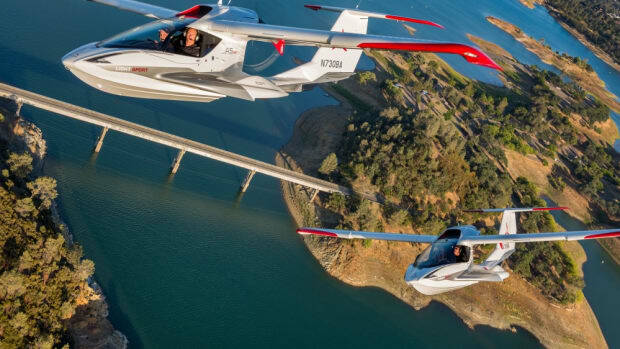 That owner, says Jan Jaap Minnema, a Fraser sales broker based in Monaco, is one among several now testing the concept. Russian oligarchs were the first to embrace support vessels, he says, when even their yachts approaching 300 feet (91 meters) couldn’t hold all the toys they wanted. Today, it’s not just owners, but also charter clients thinking about the possibilities. 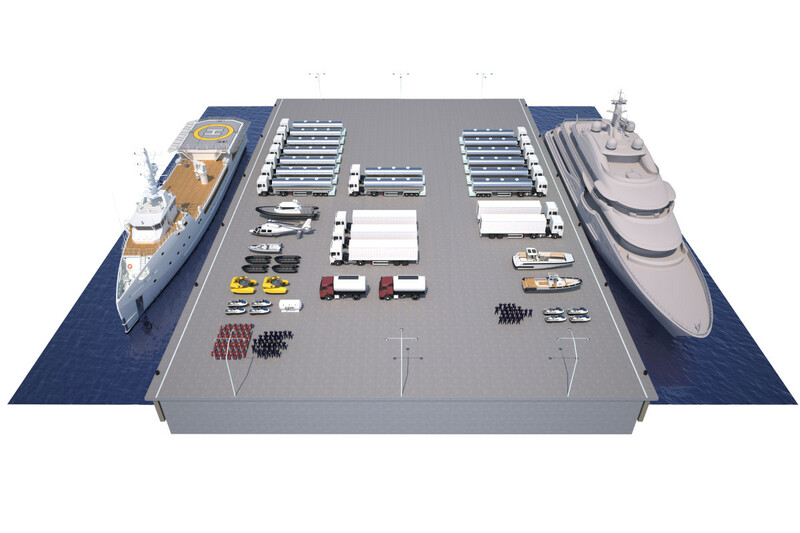 This rendering from Damen shows the amount of fuel, supplies, toys and more that a luxury support vessel (left) can carry compared with a traditional yacht (right). “People started to think about buying a toy carrier for themselves, and then chartering a yacht and sending their toy carriers around,” Minnema says. Damen, the parent company of yachtbuilder Amels, is looking to capitalize. 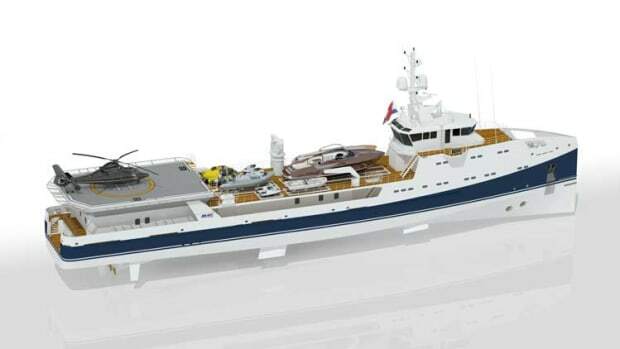 Damen has long built support vessels for coast guard and offshore use—some 200 of them so far—but the company hadn’t thought of the yacht market for those hulls. 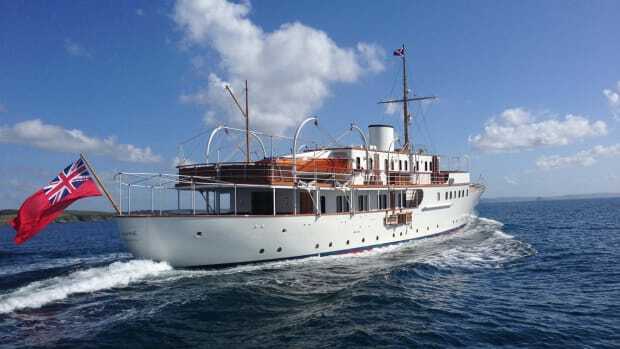 As recently as the 2000s, only a handful of yacht owners were converting commercial hulls for extra toy and staff space, but those vessels were older and slow. Even when converted, they didn’t feel particularly yachty. Then, Russian billionaire Roman Abramovich ordered 533-foot (162.5-meter) Eclipse from Blohm+Voss, and he placed a simultaneous order, in 2007, for two support vessels from Damen. Victor Caminada, marketing director for Amels and Damen yacht support, says Abramovich knew of Damen’s experience with the commercial versions and wanted the builder to branch out. Garçon made her debut in 2012, and Damen has been building the yacht-grade SeaAxe support vessels on spec ever since. Because the yard still builds the hulls regularly for commercial use, yacht-quality versions of the 5009 model can be tricked out in just eight months, from contract to delivery. Damen’s latest yacht-support vessel is 227-foot (70-meter) Game Changer, which launched in February, not only with a helipad, but also with a helicopter hangar that can be enclosed for weather—and that allows the mothership to remain a place of relaxation. 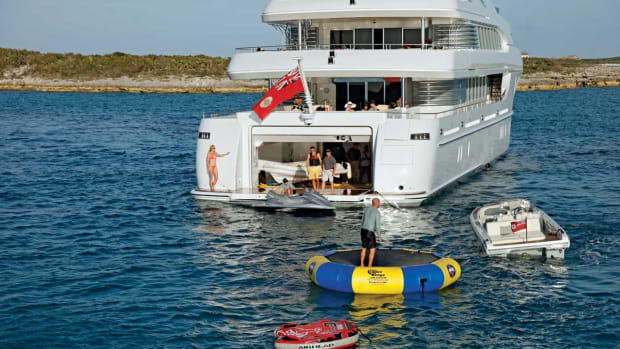 Game Changer can accommodate 22 crew and staff, including experts and guides for whatever sports the owner enjoys. 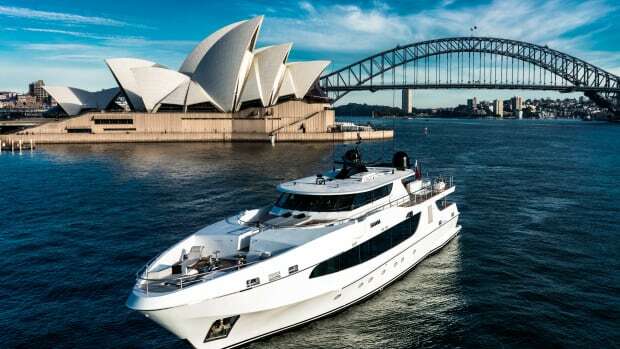 And like all the SeaAxe models, she can keep up with a modern superyacht, overcoming the slowness problem that used to exist with commercial conversions. Depending on the power package, Caminada says, SeaAxe vessels can achieve 25 to 28 knots. Ocean Independence markets one owner’s SeaAxe support vessel for tandem charter with that same owner’s support vessel: 150-foot (45.7-meter) Palmer Johnson Vantage and 180-foot (54.8-meter) Damen Ad-Vantage, which carries a three-person submersible. 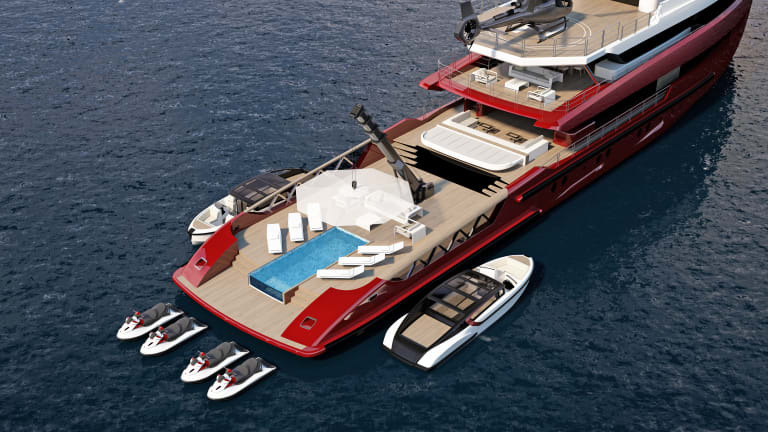 And as more owners buy the giant toy carriers, the support vessels themselves are becoming available for charter. 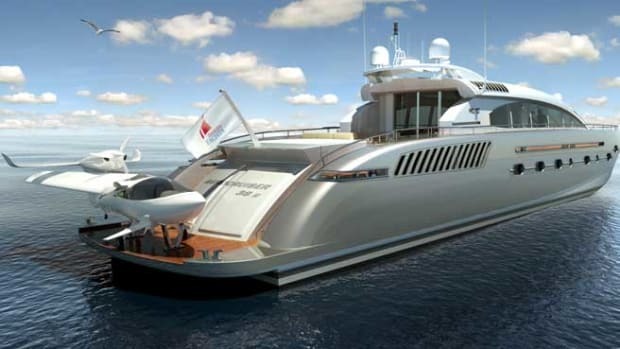 This, perhaps, means a future of charter clients being able to mix and match support vessels with the mothership charter yacht of their choice. Clients can even offload the owner’s toys and pile on their own, Howard says.